There are two stages of diabetic retinopathy: nonproliferative and proliferative. Nonproliferative retinopathy is the early stage where blood vessels in the retina leak or break. Small hemorrhages in the retina are very typical. If not detected it can advance to cause more severe vision problems. The second stage of diabetic retinopathy is more serious and called proliferative retinopathy. In this stage blood vessels close off and can interrupt blood flow to the retina. The retina then attempts to reestablish the blood flow by growing, or proliferating, new blood vessels. These new vessels are fragile and easily bleed causing loss of vision and scar tissue formation. How Does Diabetic Retinopathy Cause Vision Loss? Macular edema develops when blood vessels begin to leak fluid into the retina. This causes the retina to swell and often results in blurred or reduced vision. Macular Edema can occur at any stage of diabetic retinopathy but is more likely to occur as the disease progresses and retinal blood vessels become weak. This is the most advanced stage of the disease and occurs when fragile new blood vessels grow and bleed into the vitreous jelly. If left untreated, proliferative retinopathy usually leads to severe vision loss and even blindness. 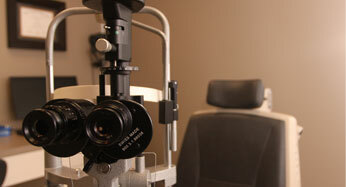 Regular eye exams may detect the disease in very early stages and help us to monitor the progression of the disease. Careful blood sugar and blood pressure control can also help to reduce or prevent diabetic retinopathy. 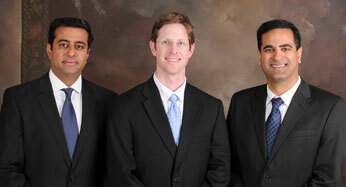 To treat macular edema, small laser light is focused on the damaged retina to seal leaking blood vessels. 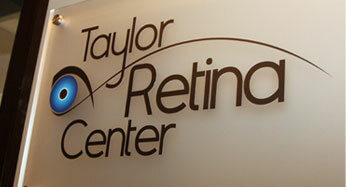 For abnormal blood vessel growth, larger laser treatments are delivered to the peripheral retina. These treatments reduce abnormal blood vessel growth and help decrease fluid leakage or bleeding in the eye. Laser surgery can greatly reduce the chance of severe vision loss and should be considered early in the course of the disease rather than after vision loss has already occurred. Newer drug therapies have been developed which are used to treat blood vessel growth, bleeding, and leakage. All of these newer agents are injected with a tiny needle into the eye in an almost painless fashion. These additional treatments have helped to treat specific problems created by diabetic eye disease and help patients regain vision. This outpatient surgery is often beneficial to remove blood out of the jelly in the eye or to remove scar tissue that can pull on the retina. At the Taylor Retina Center, all of our surgeons have extensive experience managing complex diabetic disease with lasers, injections, and surgery.